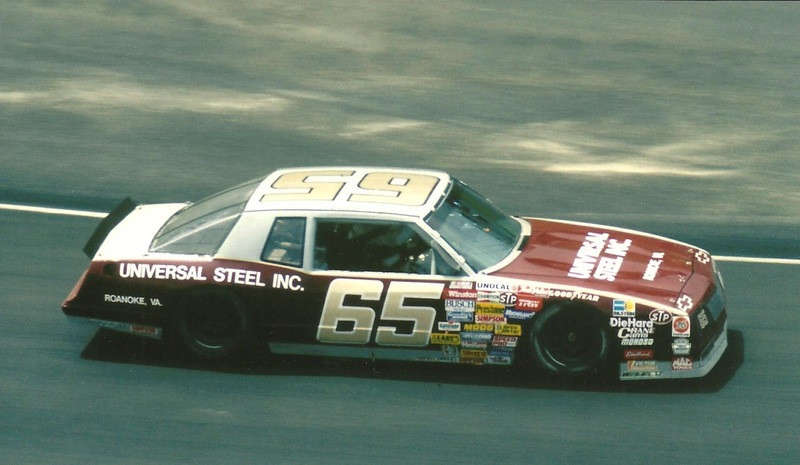 On June 18, 1989, Tommie Crozier picked up the 1st last-place finish of his NASCAR Winston Cup Series career in the Miller High Life 500 at the Pocono Raceway when his unsponsored #65 Leonard Racing Chevrolet fell out with transmission issues after he completed 16 of 200 laps. The finish came in Crozier’s seventh Cup start. Researching Crozier has probably been this site’s most difficult project yet simply because of the sheer lack of information (even more so than last week’s feature Ron Shephard). Crozier made nine starts in the Cup Series from 1984 through 1989, but none in any other division. All of his cars were owned by Bill Leonard, many of them sponsored by Universal Steel, Inc., but all three leads have provided strangely little information. A Google search on Crozier brings up little more than his starts and finishes, each without a picture of the driver or even his date of birth. The picture linked in this article, taken at Dover in 1985, is the only picture of any of his cars (interestingly, Papa D’s Restaurant, on the hood of the car, is still in business today in Crozier’s hometown of Roanoke, Virginia). There are no Facebook pages to him, and only three Twitter posts, one of them with a dead link. When searching newspaper databases – both under “Tommie” and “Tommy” – nearly all the articles show him listed in qualifying and race results with no further information. 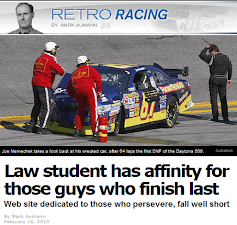 One of the only exceptions was an article written by Don Coble for Florida Today, published the day after the 1989 Pocono race that’s the subject of today’s feature: “NASCAR fans deserve better,” he wrote. “They shouldn’t have to pay top dollar to watch Randy LaJoie, Norm Benning, Bobby Gerhart, Jimmy Horton, and Tommie Crozier.” Just like that, the research took a different direction. According to Coble’s article, this particular Pocono event was the track’s first-ever sell-out. Unfortunately, this created a traffic issue outside the speedway similar to that at Kentucky in 2011, causing several fans to miss the start of the race. Among those stuck outside the speedway were Harry Gant’s pit crew and team owner Leo Jackson. When the green flag dropped, the only people standing in the #33 Skoal Bandit team’s pit box were “a public relations man, a sponsor, two scorers and a truck driver.” The crew finally made it to pit road barely five minutes before Gant’s first stop, helping their driver to a runner-up finish behind Terry Labonte. Many of the fans who missed the race, however, couldn’t watch the race any other way – while ESPN covered most of the schedule, this television broadcast was exclusively on Pay-Per-View on Showtime. Few people must have had VCRs back then, for as of this writing, this race has yet to be posted on YouTube. In Coble’s eyes, big-name Cup teams were already leaving the sport, and he didn’t much like who was taking their place. “Only 38 cars started the race,” he wrote, “Winston Cup’s second short field of the year. The entry blank called for a 40-car race, but 36 NASCAR regulars showed up. Two ARCA drivers, here for Saturday’s ARCA 100, decided to run Sunday since all they had to do was fall off the truck to make the field.” While Coble’s concern over short fields is understandable (much as it is today), his scorn for the “two ARCA drivers” isn’t. One of them, Jimmy Horton, took the outside-pole for the ARCA event that weekend and had been active in Cup and Busch competition since 1985. 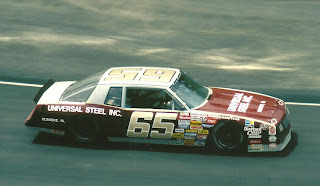 The other, Bobby Gerhart, had been running Cup since 1983, and raced from 37th to 23rd that Sunday. To imply either didn’t belong in the field doesn’t make sense. The same goes for the other three drivers mentioned in the “NASCAR fans deserve better” quote from earlier. Even before his back-to-back Busch Series championships, Randy LaJoie had been active in Cup since 1984, when he survived his harrowing crash during the 125-mile qualifiers at Daytona. That weekend in 1989, he was making his first start for car owner Jim Rosenblum of Linro Motorsports, an emotional return one year after Jocko Maggiacomo’s tragic wreck with Bobby Allison a year earlier, and finished 28th. Norm Benning, now a fan favorite in the Camping World Truck Series, was making his second start for Jerry O’Neil. While he failed to finish both races, each were far from “start-and-park” efforts, and at Pocono ran 151 of 200 laps before engine trouble. This leads to Crozier, who, by his statistics, should at least be as notable as the drivers mentioned above. What leaps out right away is his second Cup start at Dover, the one from the picture on this article, where he started 28th of 32 drivers and came home 15th. Among those he beat that day? Terry Labonte, Rusty Wallace, Buddy Baker, and Dale Earnhardt. 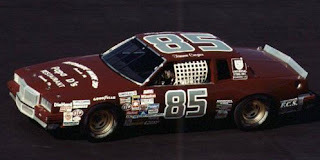 Crozier ran Dover more than any other track – five of his eight starts from 1984 to 1989, the other three being one-offs at Rockingham (finished 28th of 40), Michigan (33rd of 37), and Pocono, where his transmission gave out after 16 laps. Crozier started and finished last, beating Horton for the spot by 13 laps. Ironically, the rest of the Bottom Five that day in 1989 are much more well-known. 36th-place Derrike Cope, just a few months from his breakthrough Daytona 500 victory, had just replaced Ken Bouchard at Whitcomb Racing the month before, bringing with him the Purolator sponsor that backed his previous ride with Jim Testa. 35th went to Geoffrey Bodine, who crashed his #5 Levi Garrett Chevrolet after 78 laps. Rounding out the group was the #7 Zerex Ford of owner-driver Alan Kulwicki, who at the time was still searching for his second Cup win following his first “Polish Victory Lap” at Phoenix the previous fall. As for Crozier, and what he’s up today? Our research also turned up an article from May 27, 1992 in the Daily Press mentioning a man named Tommie Crozier as the hazardous materials officer for Rockbridge County in Virginia. He later received the Rockbridge County LEPC Award for Dedication to Public Safety. When we called the department, we were told that Crozier did work for the state out of his hometown in Roanoke. The official we spoke to said that Crozier had recently retired from the department, and unfortunately he didn’t know how we could reach him. However, when discussing racing, the man did confirm that the Crozier who worked for the state was, in fact, the same man who raced in NASCAR during the late 1980s. 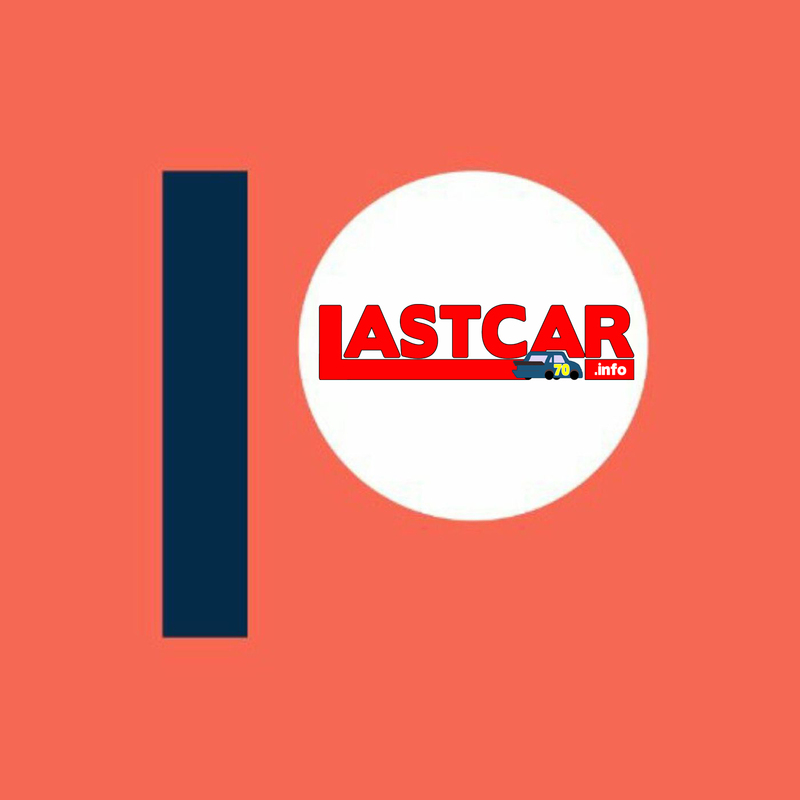 Here at LASTCAR.info, we pride in providing stories of drivers who aren’t mentioned very often, especially those marginalized by writers like Don Coble. Part of the fun is digging up information on these drivers and teams to give them their due for unheralded efforts. But this one’s a first – a driver that’s all but slipped through the internet’s cracks. So the research continues, and I invite you all to join in. If you have any other information on Tommie Crozier, feel free to share them in the comments below. *Crozier’s car number was every bit as obscure. This marked just the third last-place finish for car #65 in a Cup Series race and the number’s only last-place run at Pocono. Prior to this race, the number hadn’t finished last in Cup since August 12, 1962, when Allan Harley’s 1960 Dodge broke an oil line after 10 laps of the Western North Carolina 500 at the Asheville-Weaverville Speedway. *Associated Press. “Hazardous-waste haulers find loophole,” Daily Press, May 27, 1992. *Coble, Don. “Crowds should increase profit,” Florida Today (Cocoa, Florida), June 19, 1989. Thank you to Jacob Flynn, who unearthed a 2013 article by Morris Stephenson, a friend of Crozier’s and author of A Night of Making Likker. According to Stephenson, Crozier raced late model sportsman cars at the three-eighths-mile Franklin County Speedway in Callaway, Virginia before moving to NASCAR. The article also mentions the car Crozier raced in his final season, which had a story of its own. Big thanks also to David PeQueen, who tweeted the above picture taken by Bryan Hallman in Crozier’s final car at Dover in 1989. As you can see, Universal Steel, Inc., like Papa D’s Restaurant, was based in Crozier’s hometown of Roanoke, Virginia - a town-based effort in the tradition of J.D. McDuffie and Sanford, North Carolina. The car’s resemblance to Harry Gant’s Skoal Bandit Chevrolet of 1988 is by no means a coincidence. Stephenson’s article mentions the car was Gant’s road course car, and that crew chief Harry Hyde sold it to Crozier when the team switched to from the long-bodied Chevrolet Monte Carlo to the newer Oldsmobile Cutlass. “We didn’t have to make many changes in the car so it worked out well,” said Crozier. 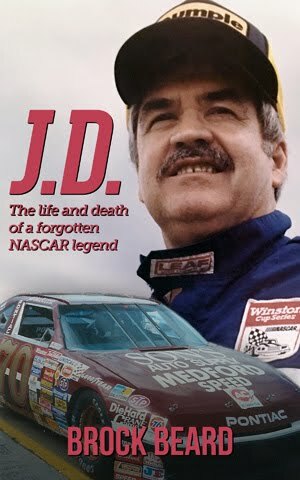 “You know, I never wrecked that car although I crumpled the fender a little.” One of the few changes was to the car’s paint scheme, where the Skoal Bandit green was repainted maroon, the white roof painted silver, and gold-foil numbers on the doors and roof. “The color under the hood and trunk are still that bright green,” he said. Stephenson also makes mention of Crozier’s partner at Crozier Racing, who owned the car’s motor and transmission. 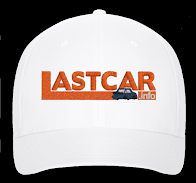 It’s likely that person was likely Bill Leonard, the man listed as car owner for all of Crozier’s Cup races. In addition to his eight career Cup starts, Crozier attempted another nine races where he DNQ’d, including the final Cup race at Nashville in 1984. His final attempt came in the fall Rockingham race in 1989, an event better known as the scene of Mark Martin (and car owner Jack Roush’s) first Cup win. Much like past LASTCAR Throwback features Mike Potter and Maurice Randall, Crozier’s car was then put on jackstands, where it remained just as he’d left it since that race. (I still believe photos of the car today exist, and the search for them continues). As of 2013, Crozier had been a firefighter and worked for the Virginia Department of energy Management for 25 years before he retired in 2014. According to David Fuller, who has corresponded with Crozier by mail, the driver still lives in Roanoke. Crozier has considered repainting his #65 Chevrolet back to Harry Gant’s colors, perhaps for use in vintage racing as Potter has with his #77. “The color under the hood and trunk are still that bright green,” said Crozier. While that might be nice, this writer hopes the driver considers keeping it the same maroon and silver, preserving Crozier’s own piece of owner-driver history. *Stephenson, Morris. “Book renews friendships,” The Franklin News-Post, March 5, 2013. Good read thanks, actually better than watching the modern stuff! Awesome website. I read your posts every week. Congratulations from Brazil.